Please e-mail or call for more information or a tour. 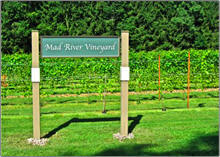 • continue 3.2 miles, Mad River Vineyard on the right. 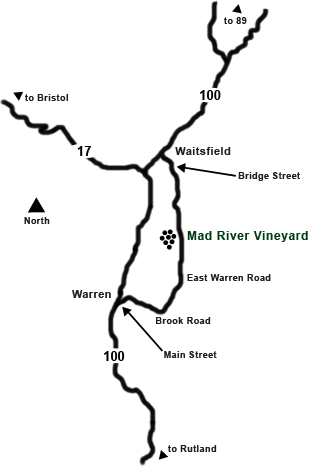 • continue 5.5 miles, Mad River Vineyard on the left.